Matterport – a media technology company that provides 3-D solutions – enables businesses and industry leaders to showcase products in a new way. 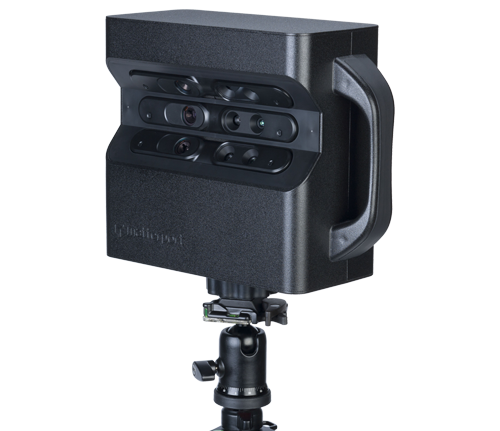 One top product is the Matterport Pro 3D Camera, which collects data to accurately map an entire area. What sparked the idea for Matterport? Did industry changes lead to the development of Matterport’s technology? Matterport was founded in 2011 with the vision of bringing 3D modeling to the masses through automated, affordable technology. Founders Matt Bell and Dave Gausebeck, who studied computer vision at Stanford and the University of Illinois at Urbana Champaign, respectively, recognized the huge potential of emerging 3D sensors and were able to adapt this technology to capture interior spaces. After raising several rounds of funding, the company is now the industry leader for digitizing real world places into 3D and virtual reality. Why is it important for vacation property managers to implement this technology to showcase properties? Matterport’s 3D tours provide the most accurate and realistic representation of a space, enabling guests to get a truer sense of a space before they book. Guest expectations of a space can be perfectly aligned, ensuring a more positive rental experience. Our cutting-edge technology is also a valuable sales tool for vacation rental companies hoping to grow their inventory by winning over more property owners with something truly innovative. Additionally, Matterport models are also incredibly useful communication tools for both sales and management. Remote sales teams can communicate with potential guests and answer questions as if they were really there, while management can better communicate with on-staff personnel about what needs to get done in a space. Is there hard data that supports potential guests booking a 3D property versus one with just high-quality photographs? Yes, we have data from several partners showing that that 3D models drive higher user engagement, which generates more qualified leads, increased user action (calls, visits, bookings), and higher user satisfaction. Vacasa experienced a 14 percent increase in occupancy rates when comparing similar properties promoted with 3D versus those promoted with just 2D photography. This resulted in a 50 percent increase in inventory for them. Realestate.com.au, the largest real estate portal in Australia, found that prospects were 95 percent more likely to call, and 65 percent more likely to email an agent about a property featuring a 3D tour versus those with just photos alone. Apartments.com found that communities generate 49 percent more qualified leads when featuring a unit with 3D versus a property without an immersive 3D experience. 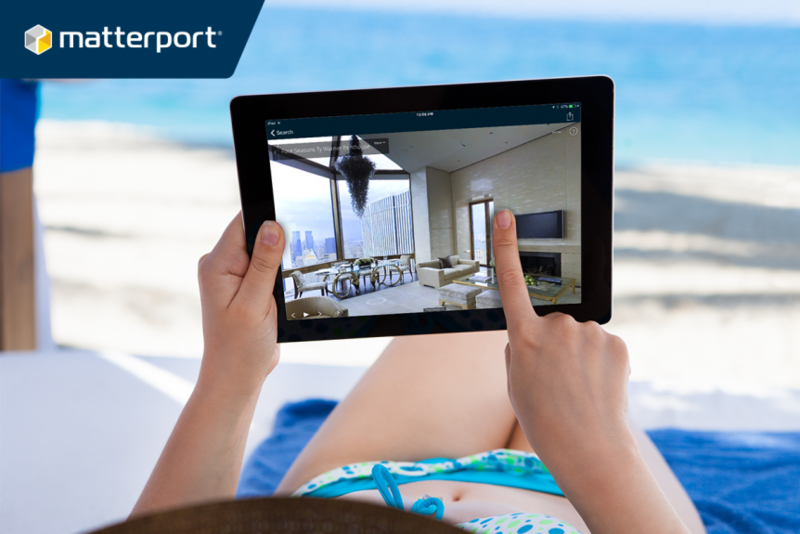 How has a focus on user experience allowed Matterport to expand into the vacation rental process? Has the technology been received well by vacation property owners/managers? Matterport initially marketed itself as a tool for real estate professionals to win more listings by offering a more engaging way for buyers to tour homes. Innovative travel and hospitality partners recognized a huge opportunity to use our cutting-edge technology to disrupt their market and stand out from the competition. Like the Realtors who were early to adopt 3D into their marketing, vacation rental managers who have been early adopters of 3D and virtual reality are winning more market share and growing their business. With Matterport, vacation property managers purchase the high-powered Pro camera and a cloud service plan that provides hosting and storage. Plans range from three to 100 spaces – the processed model of a real-world environment built from individual scan data. The package includes the camera, wall charger, iPad app and quick-release plate. Other purchase options include Apple iPad with at least 128GB storage, tripod with 6.5lb. capacity and quick-release clamp. Once the package is selected, set up the camera and scan the home. The process allows users to add captions to individual points, showcase the rental’s interior and capture outside views. Those viewing the property can select certain images, ‘walk’ through the rental, and get 360-views of a room or large space. Each Matterport property also shows the listing and contact information. View a St. Pete vacation rental hosted by iTrip Vacations and Matterport. 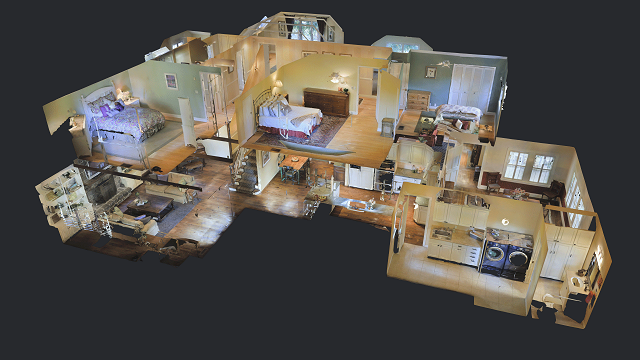 Matterport offers two additional viewing options, such as the dollhouse view and floor-plan view. Each property is also web- and mobile-friendly, works with virtual reality headsets and provides a 99 percent dimension accuracy. Ready to get started? Contact Matterport to schedule a demo or email the sales team.